Flanked by supporters and advisers, Mayor Jim Kenney endorsed longtime criminal defense attorney Larry Krasner in Philadelphia's race for District Attorney. 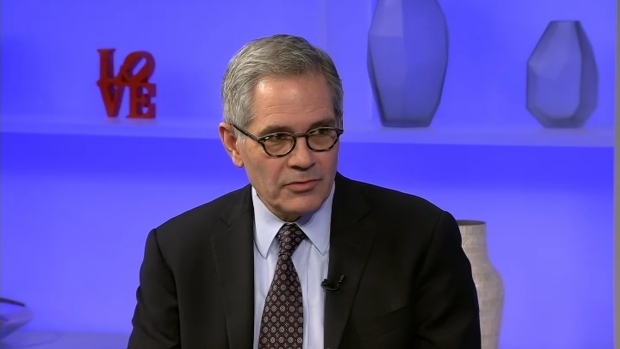 Krasner "has a history of standing up for the underdog" and is a "determined and tenacious fighter and a long-time advocate for the homeless and those powerless to defend themselves," Kenney said. Krasner has no experience as a prosecutor, but he has a long record as a defense attorney in Philadelphia. He has a history of fighting against mass incarceration and the death penalty, and defended Black Lives Matter and Occupy Philadelphia protesters. Krasner emerged out of a crowded field and won the Democratic primary on May 16. He will square off against Republican nominee Beth Grossman. The two will fight to succeed disgraced District Attorney Seth Williams. Last month, Williams pleaded guilty to accepting bribes and gifts while in office. He resigned and will face sentencing in October. After Williams' resignation, Kelley Hodge was sworn in as interim DA on July 24. She is the city's first female African-American in the position. Hodge is a former prosecutor and will serve until her successor takes office in January. "Krasner believes in the cause of equal justice for all Philadelphians. He will bring a new perspective to the criminal justice system - a balanced perspective that many say is long overdue," Kenney said. The city's next district attorney will be decided in November's general election.